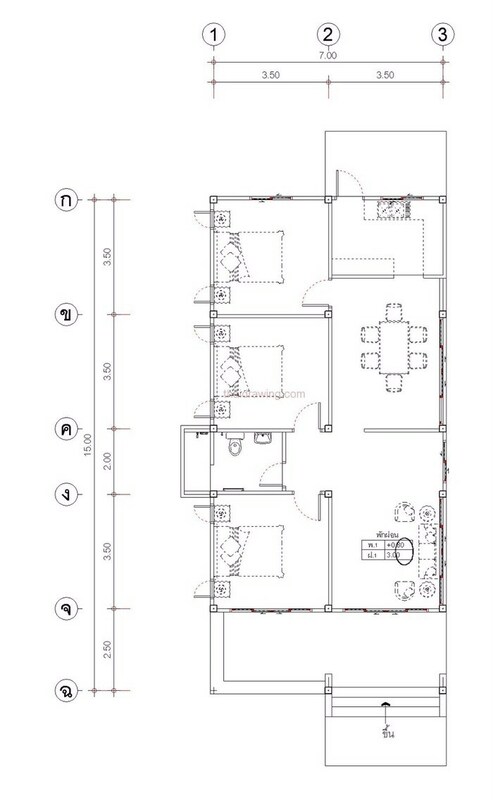 When it comes to small living space, some people choose to live in high-rise apartments or in condominiums. 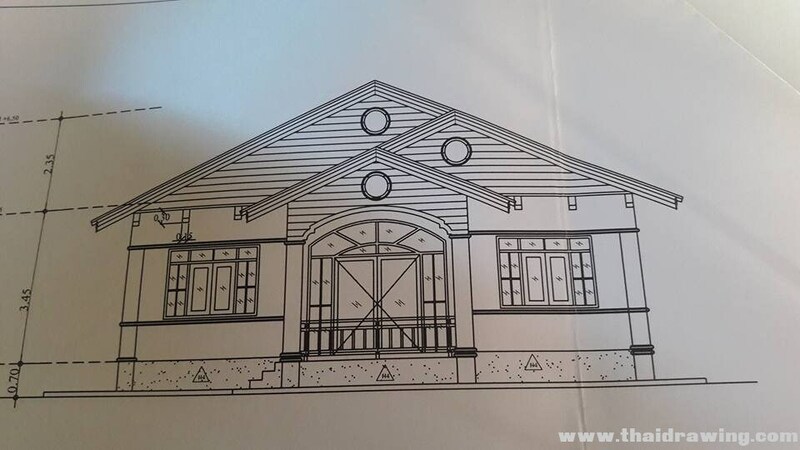 But there is a certain type of charm in living in a bungalow house design. 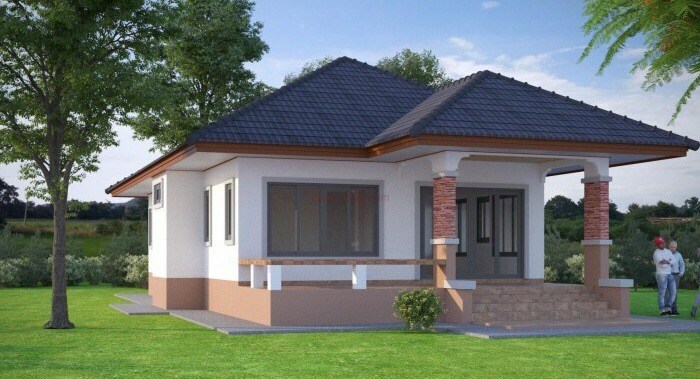 Bungalows are the original small houses of the 20th century. 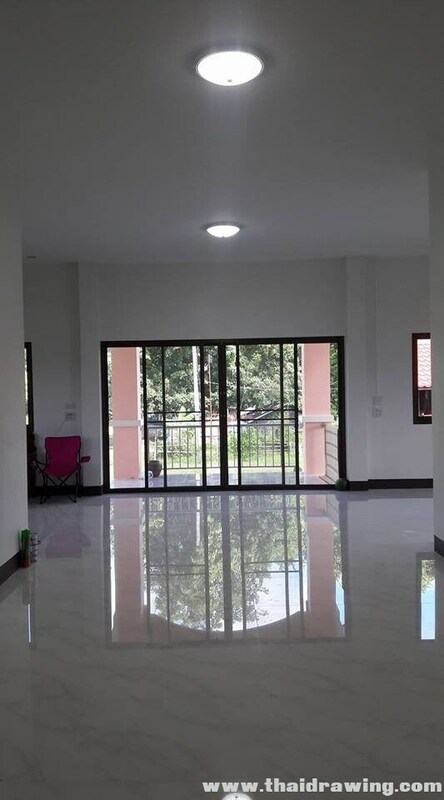 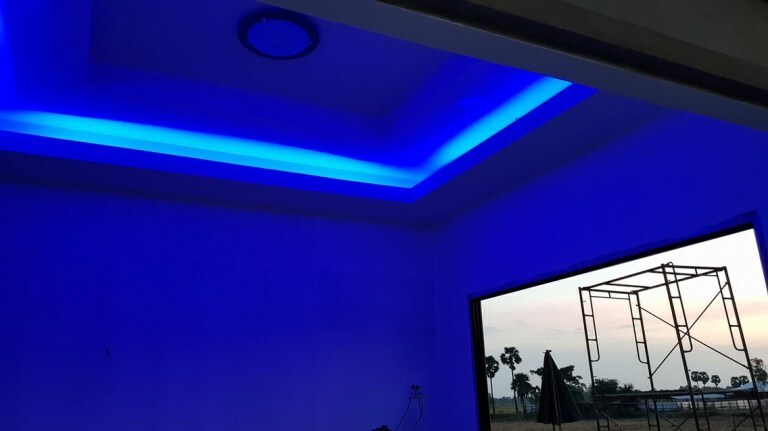 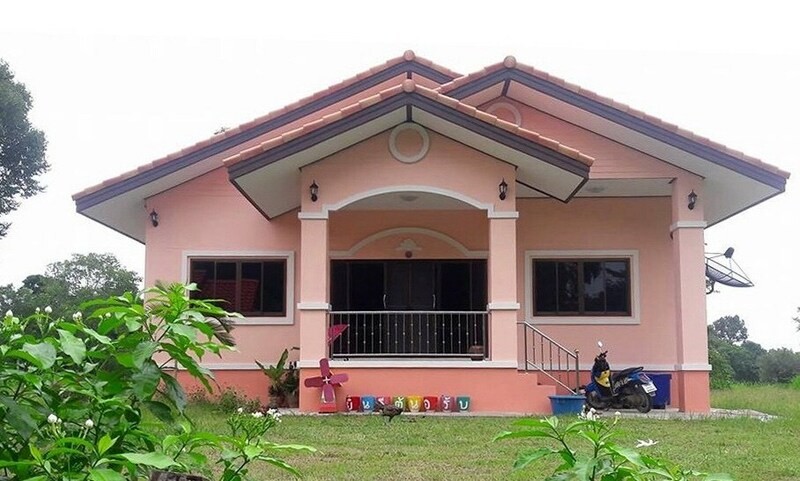 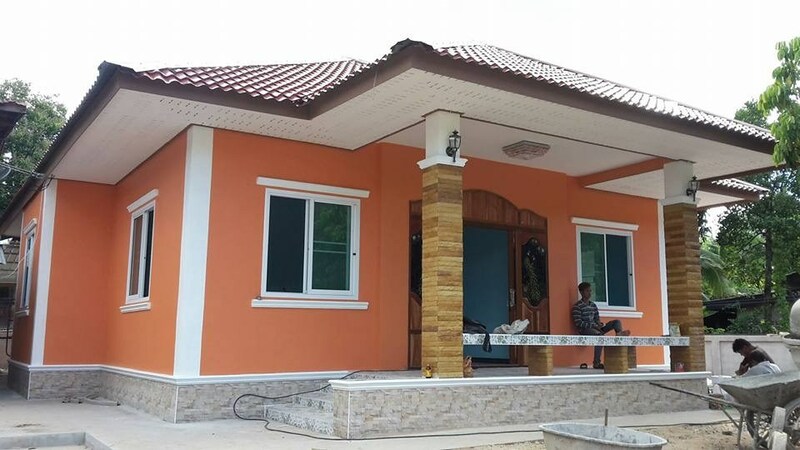 According to some website, the characteristics of a bungalow house are that it only has one level story; it has a low-pitched roof with wide rims and an open interior floor plan. 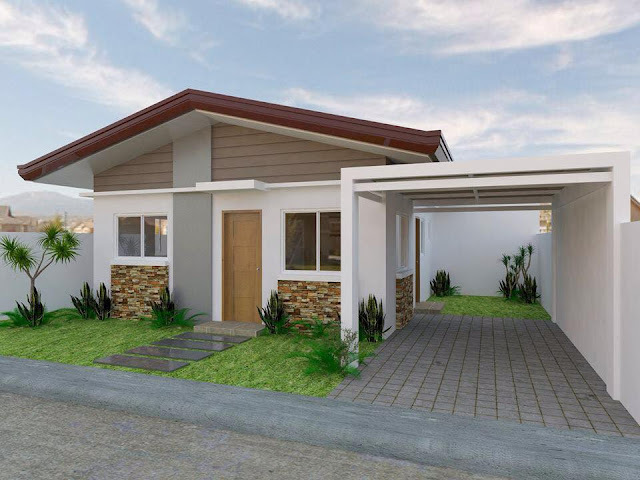 This type of house design became famous because its offer more space and flexibility than a condominium can offer and you can add your own backyard or playground! 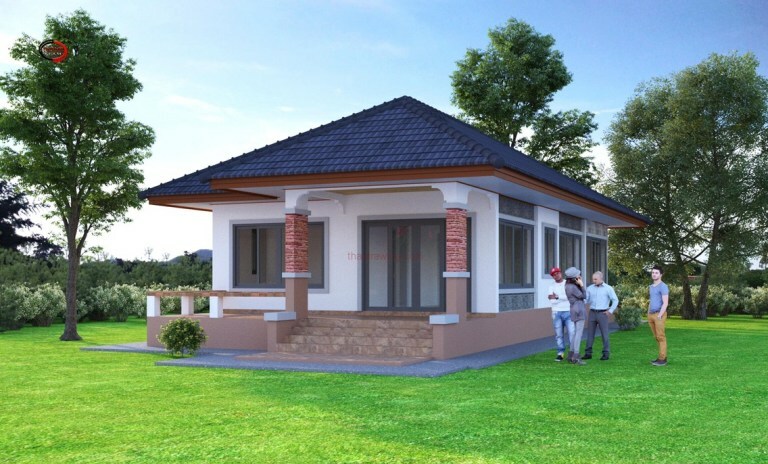 If you are ready to live in a bungalow here are some ideas. 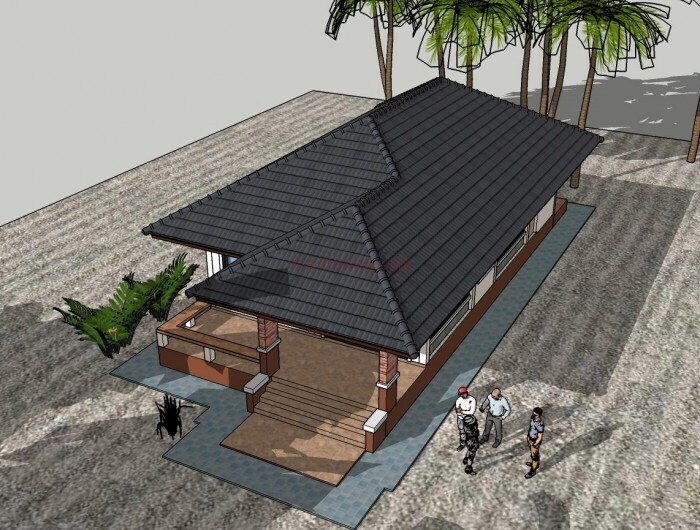 with a construction cost of 25,714 US Dollars. 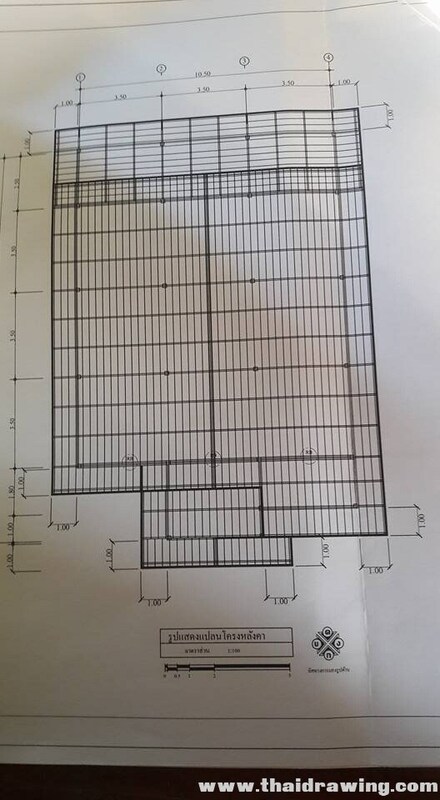 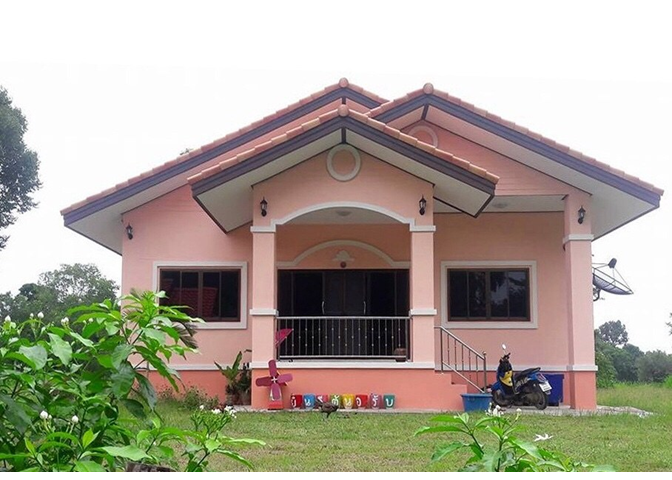 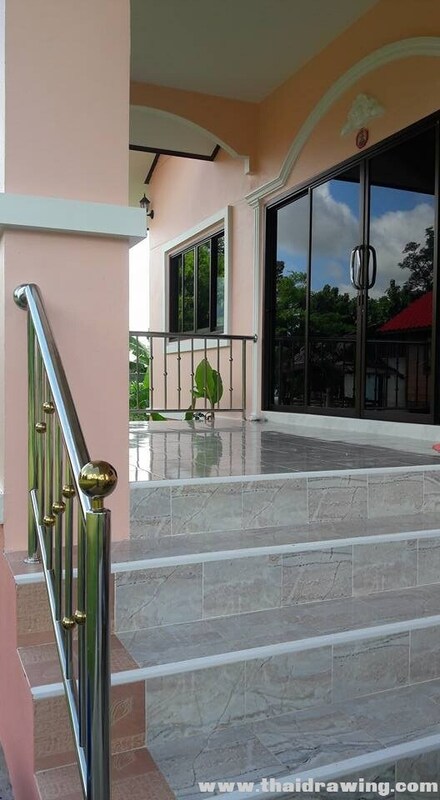 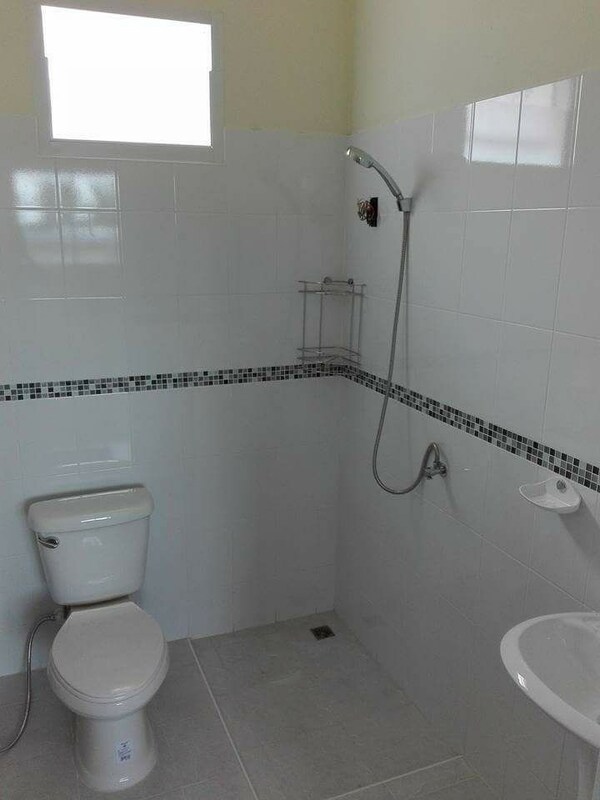 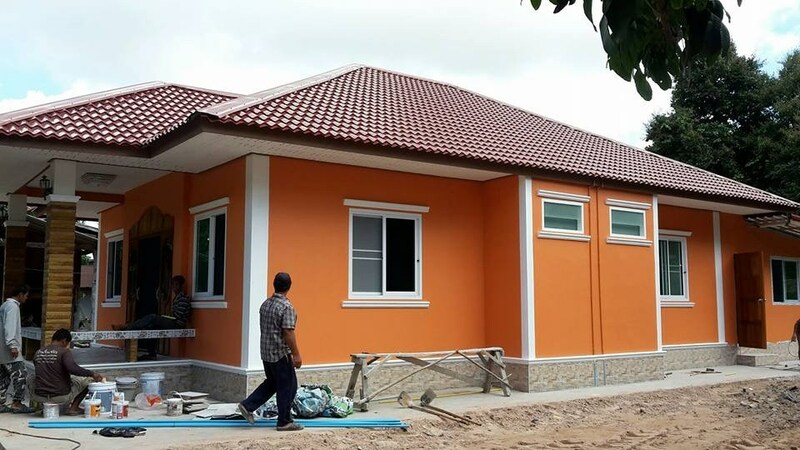 A Single storey house with a budget of 11,495 US Dollars. 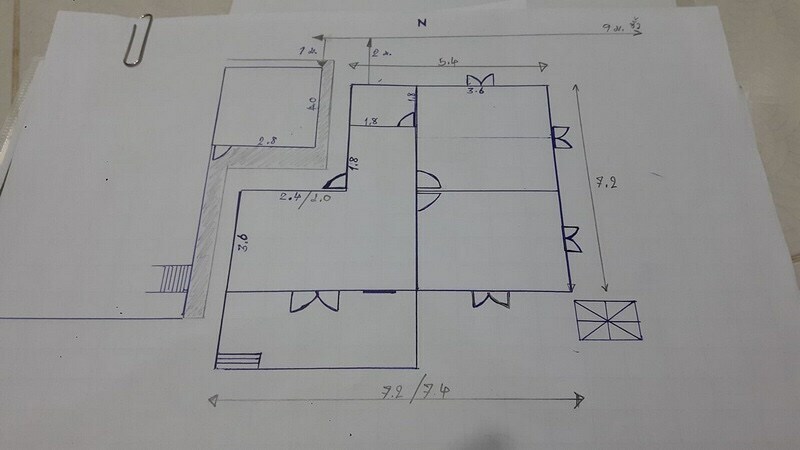 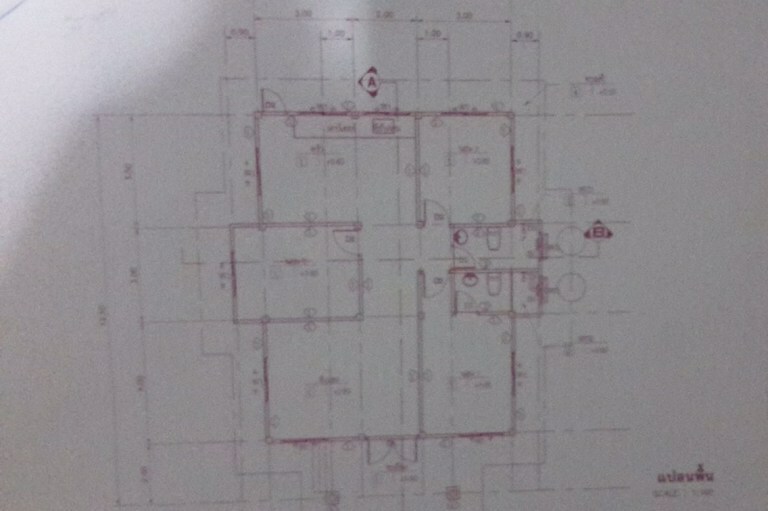 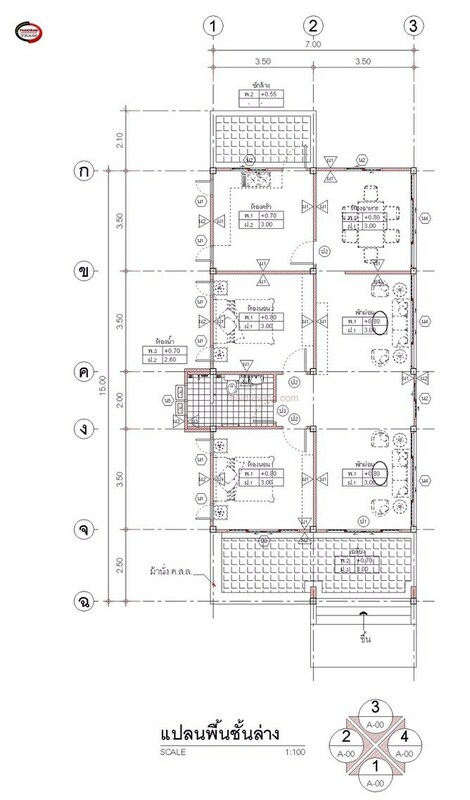 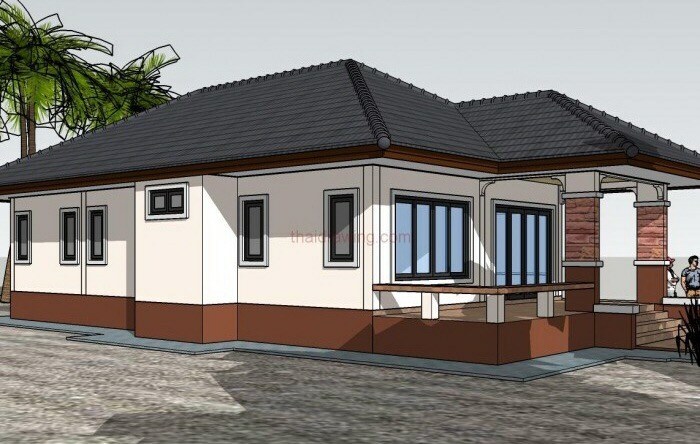 It has 2 bedrooms, 1 bathroom, living room, balcony area and the usable area is 53 square meters. 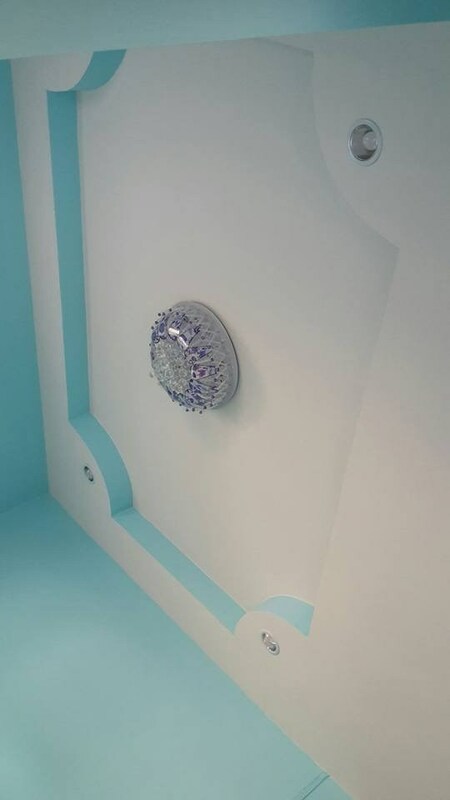 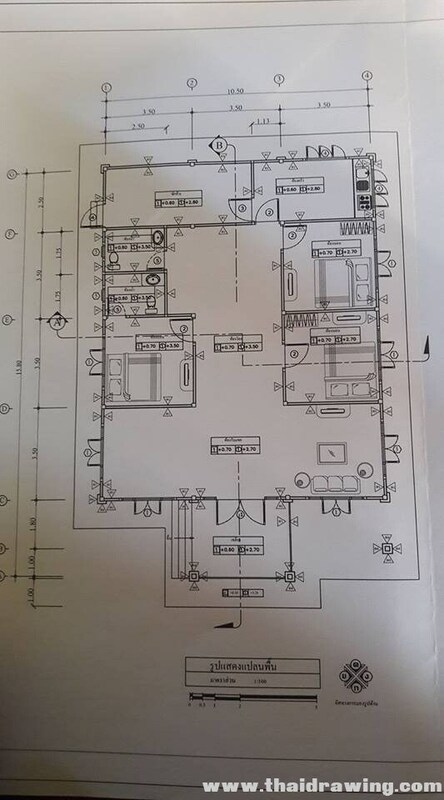 This house is one floor. 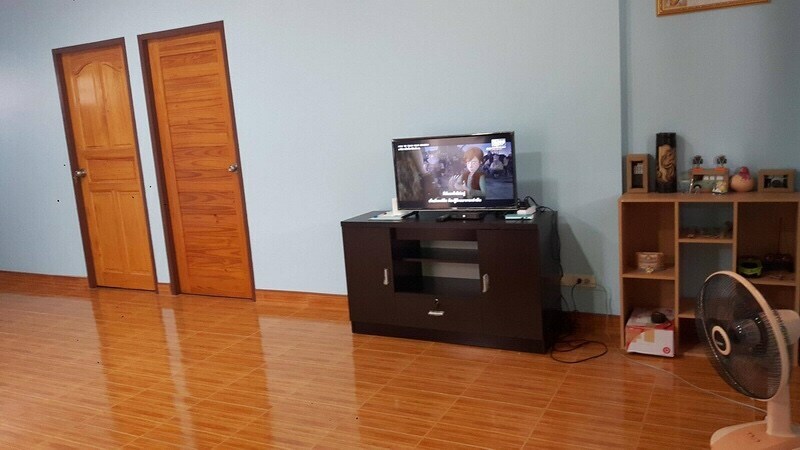 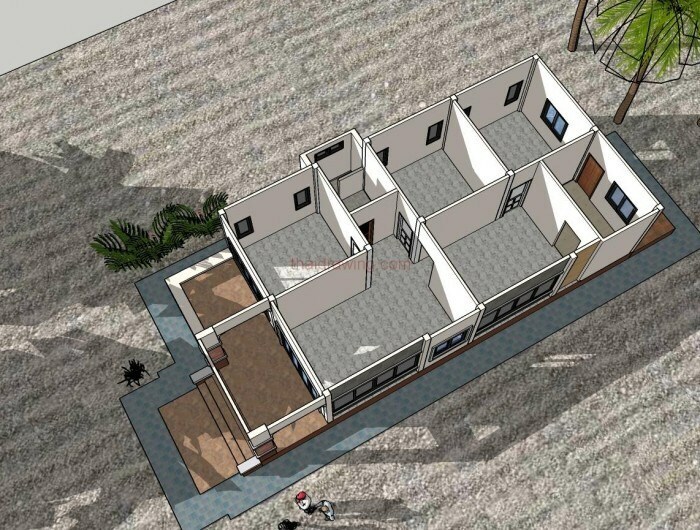 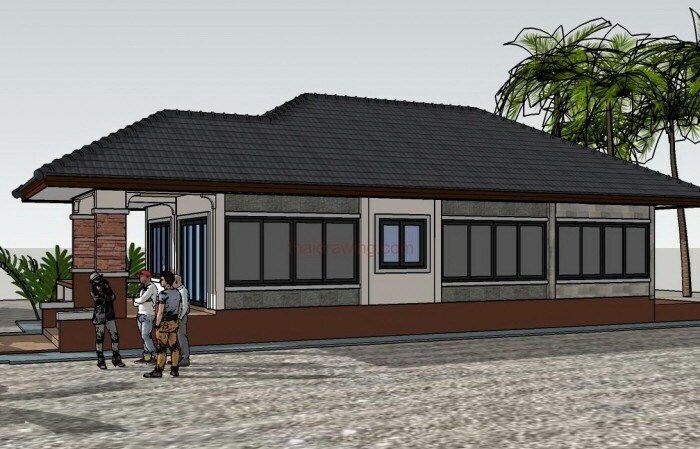 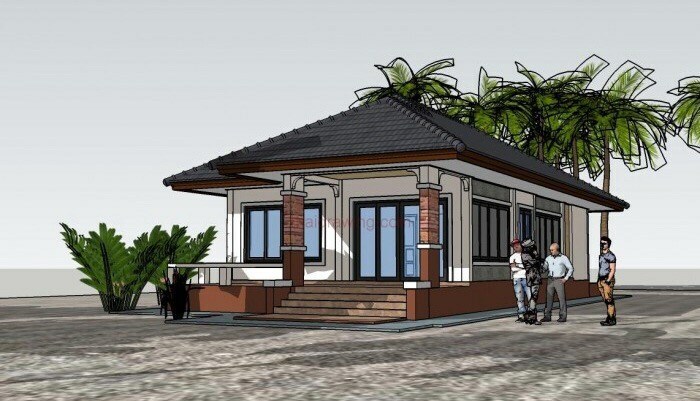 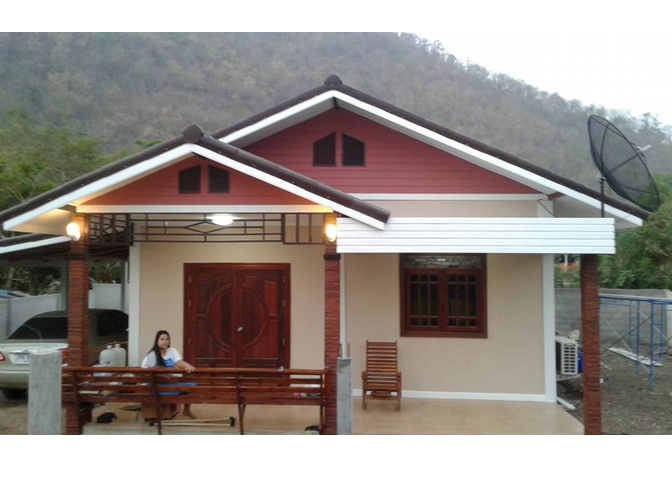 It has 2 bedrooms, 1 bathroom, 1 living room, 1 kitchen, a front porch with a budget of 33,277 US Dollars. 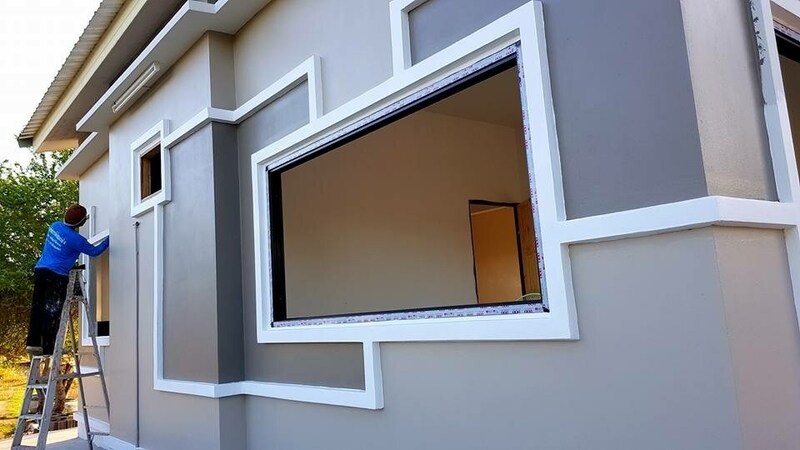 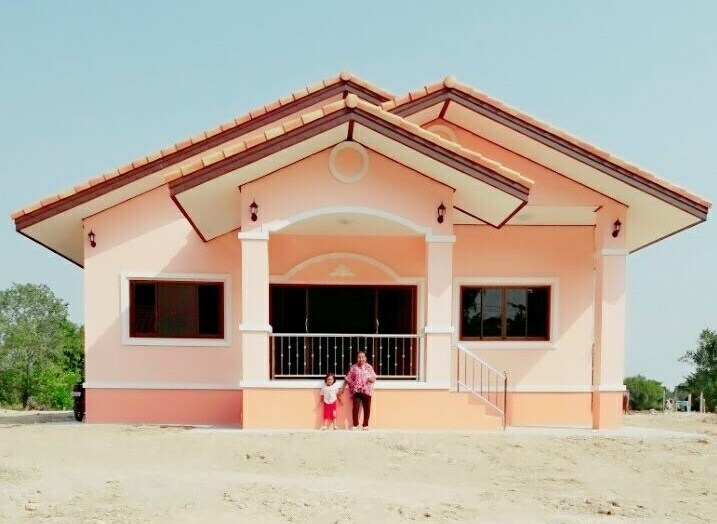 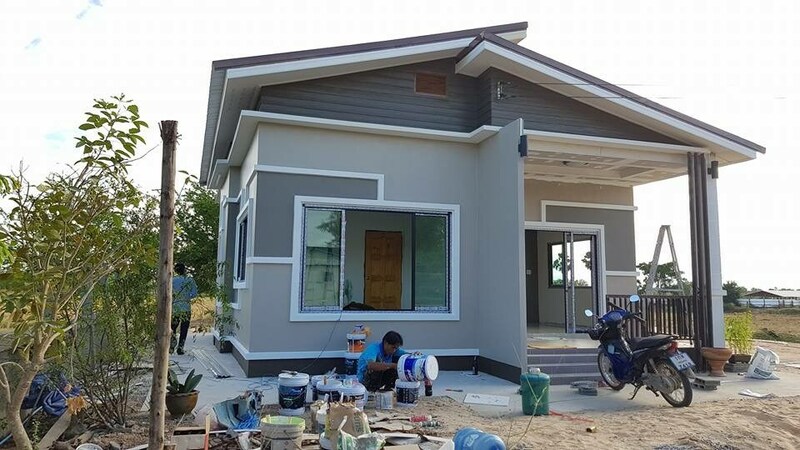 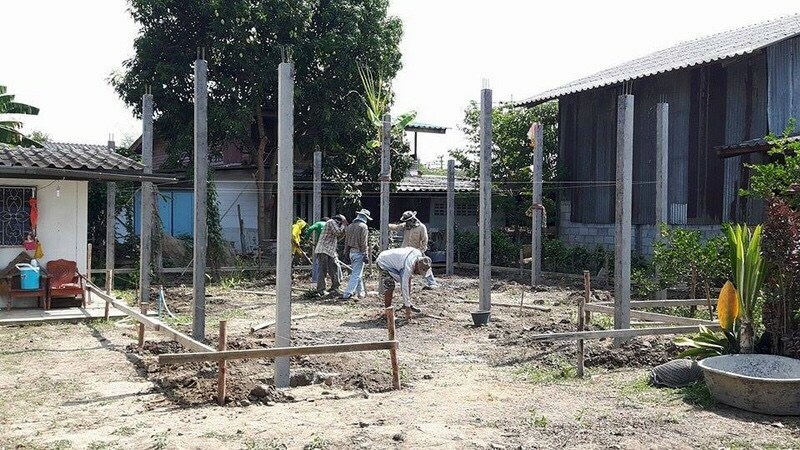 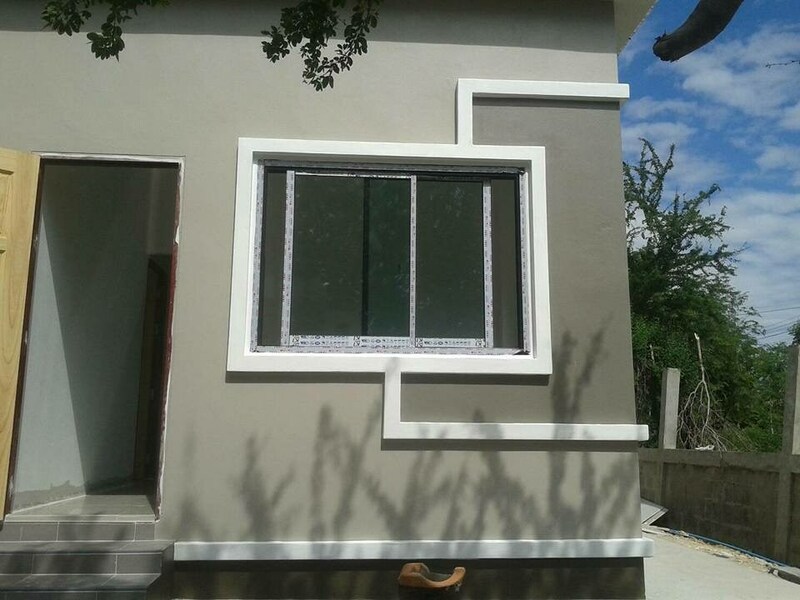 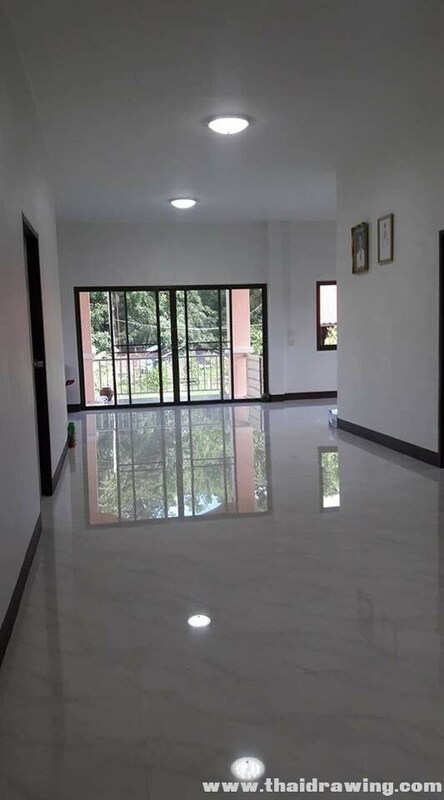 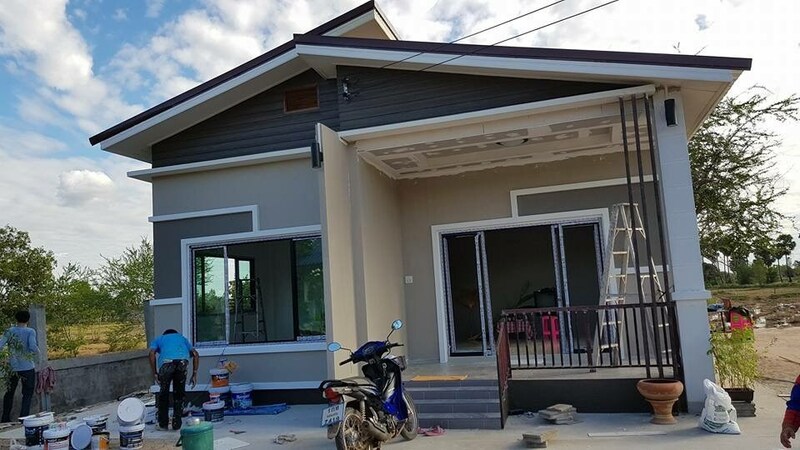 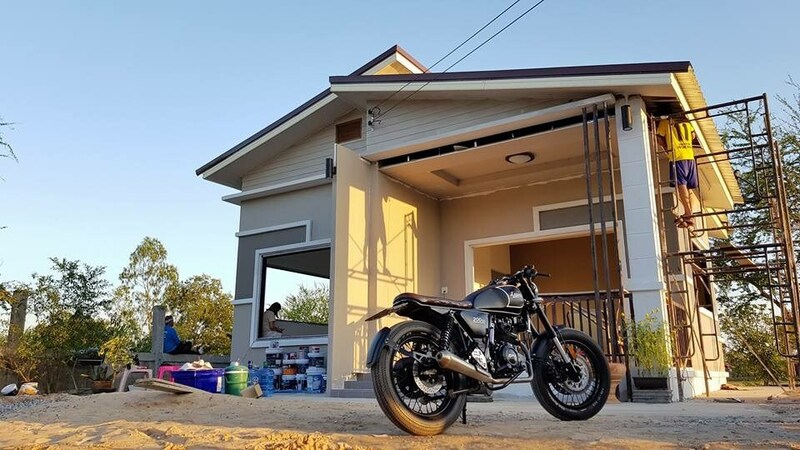 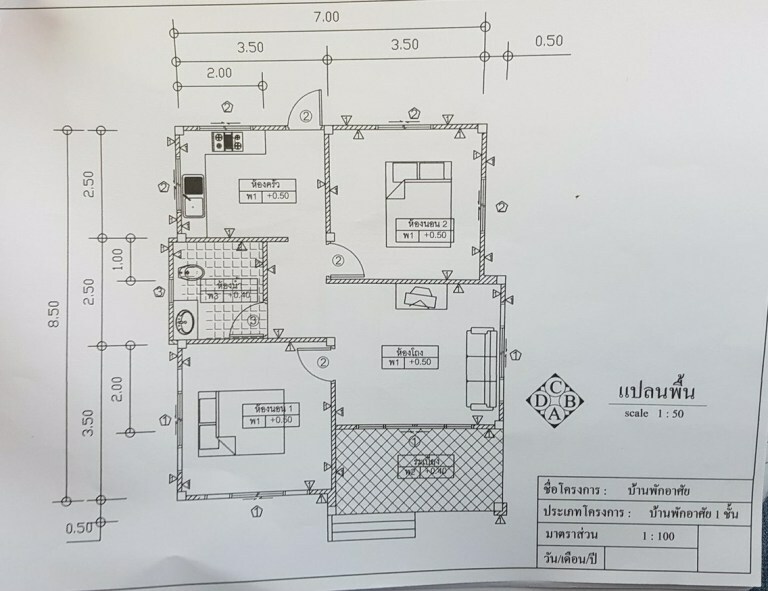 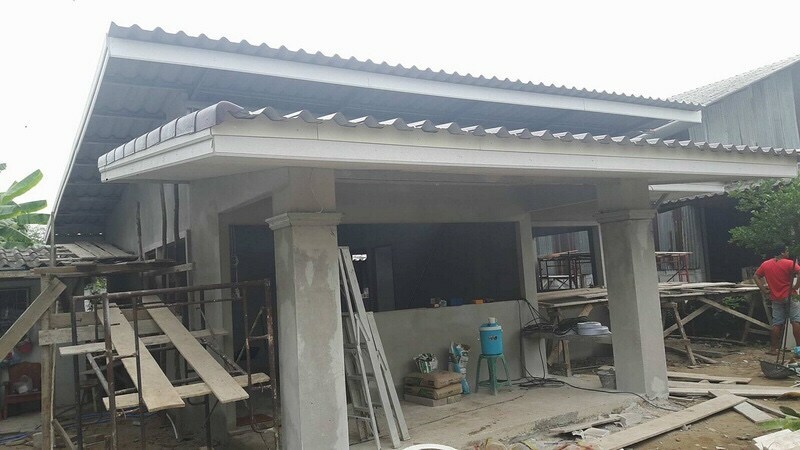 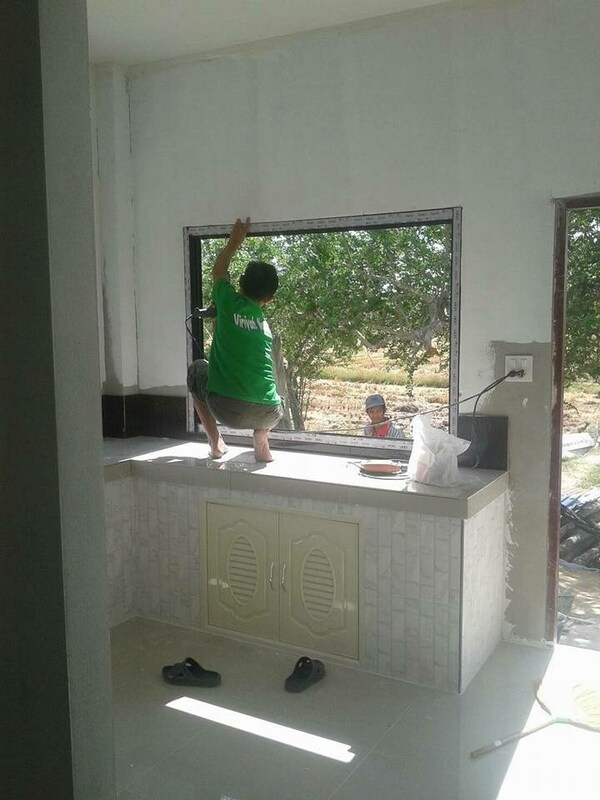 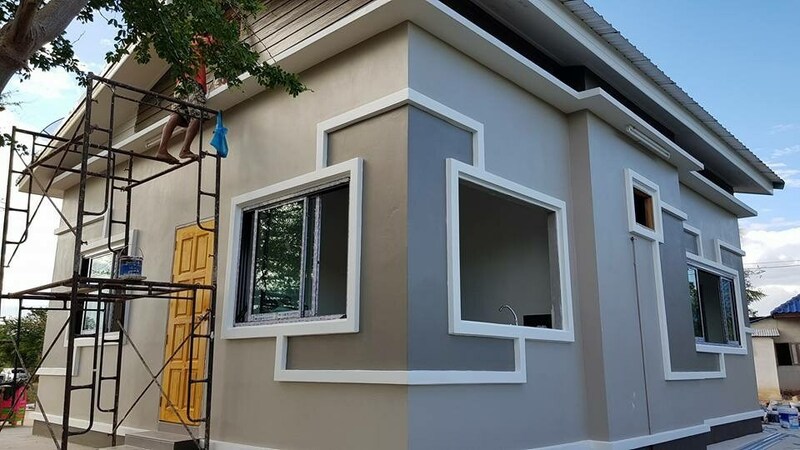 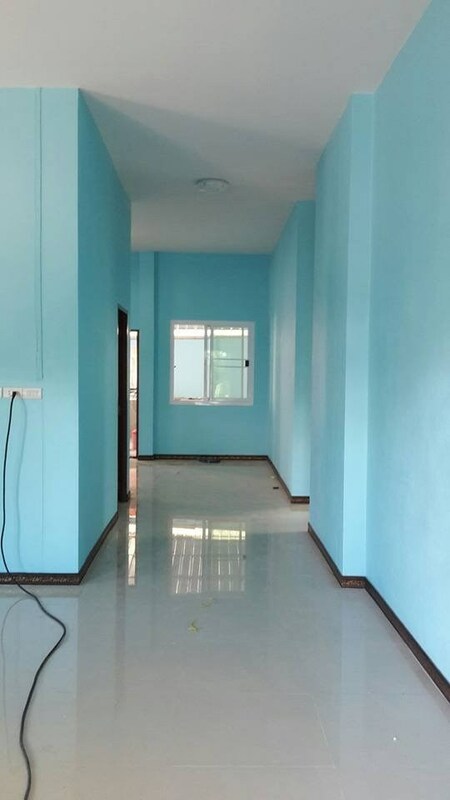 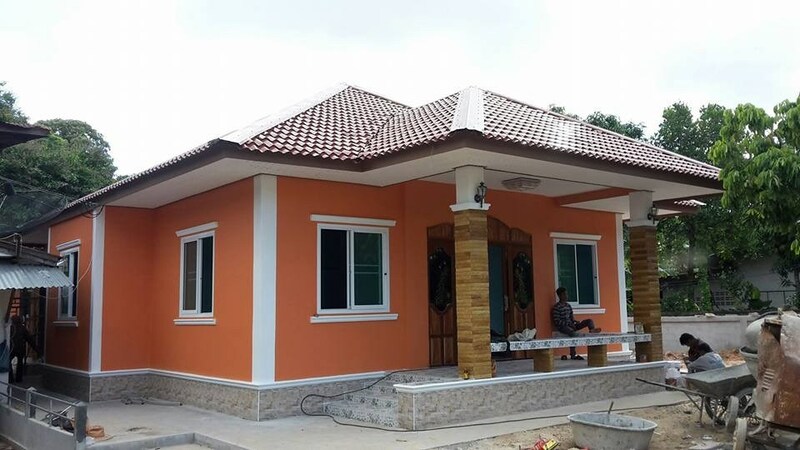 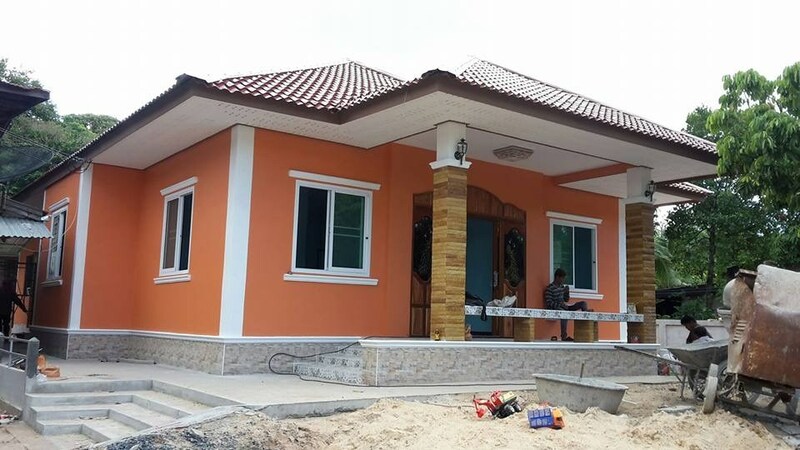 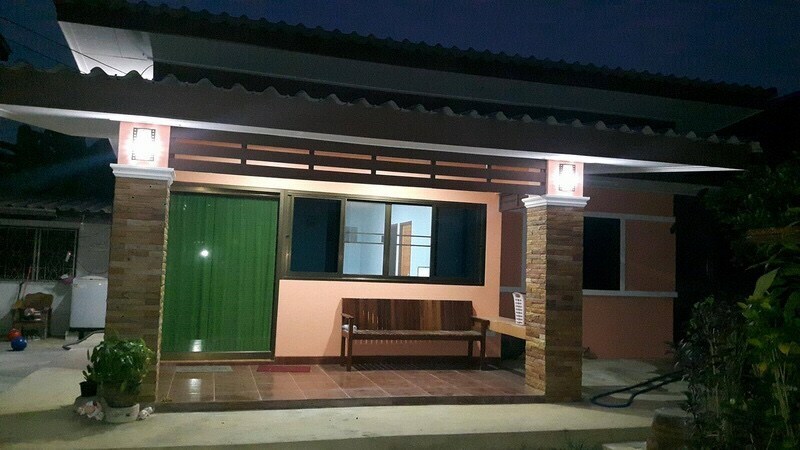 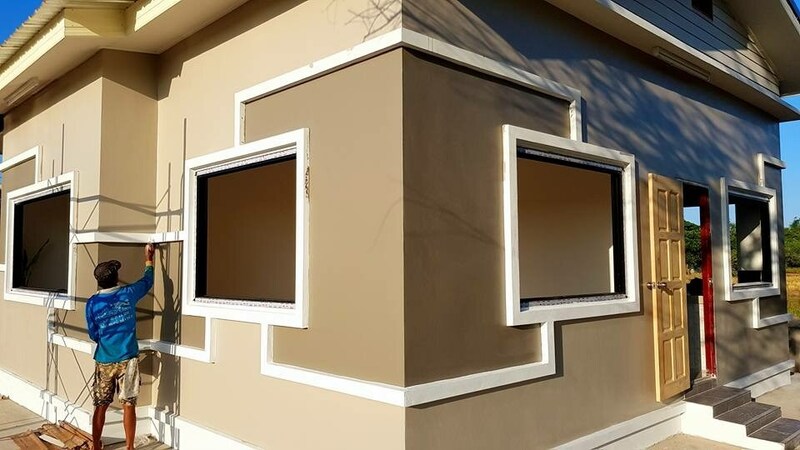 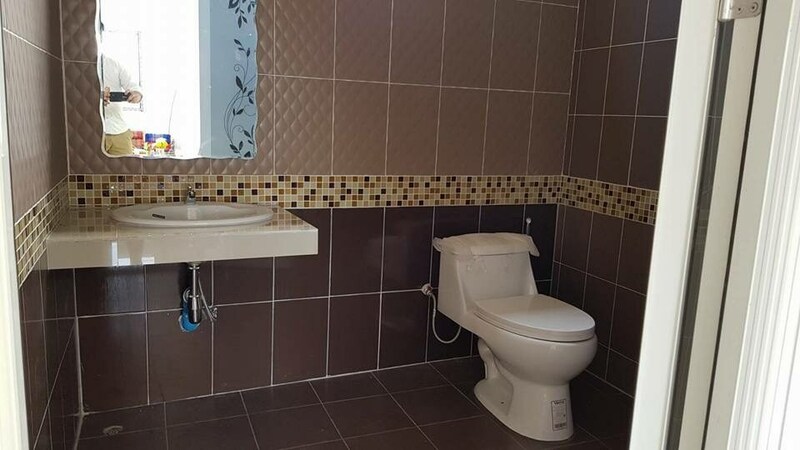 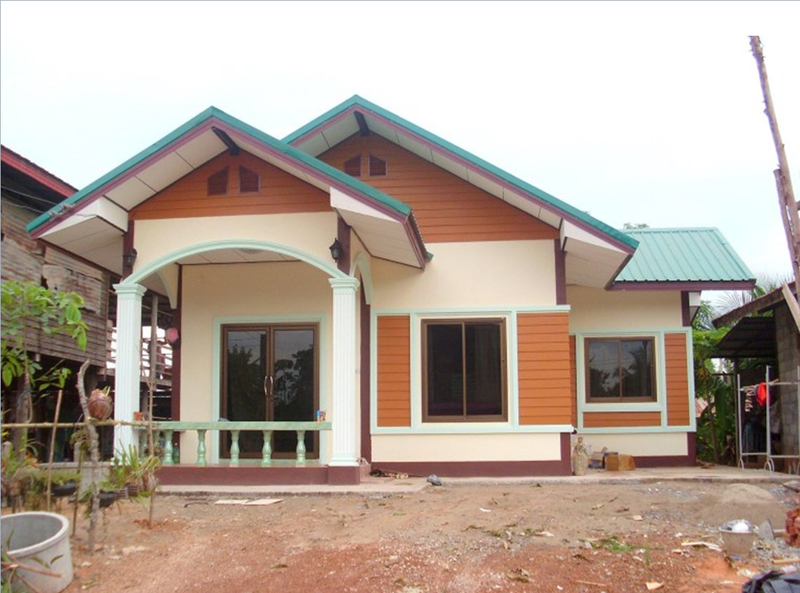 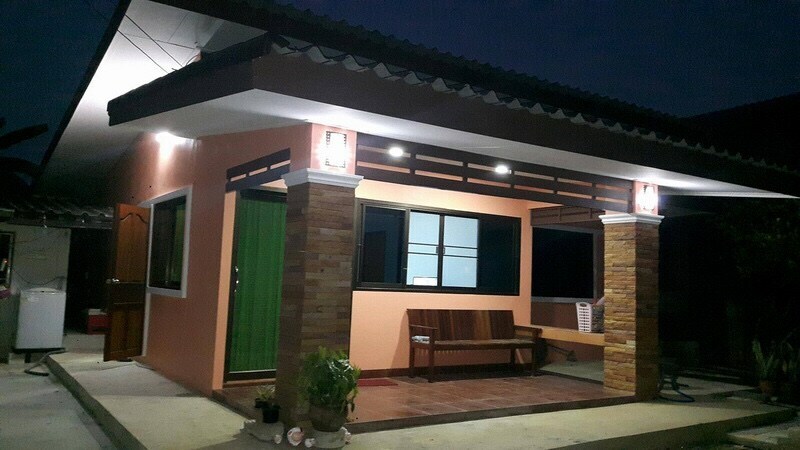 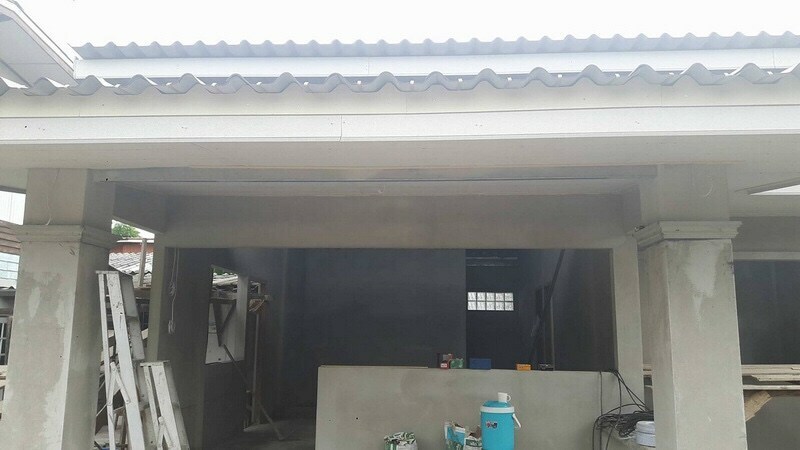 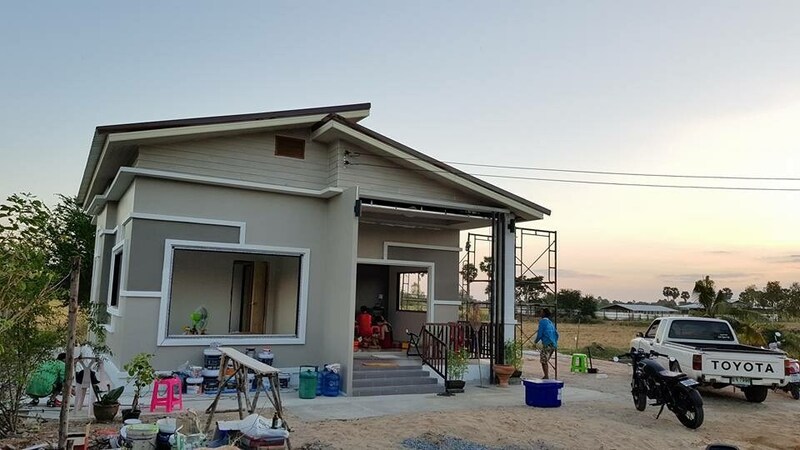 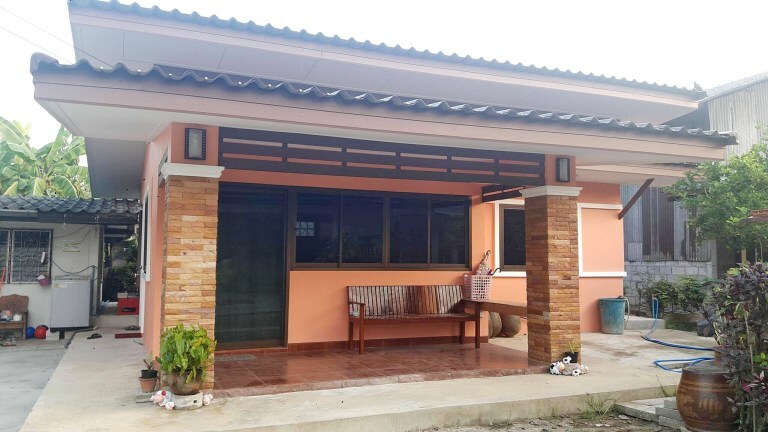 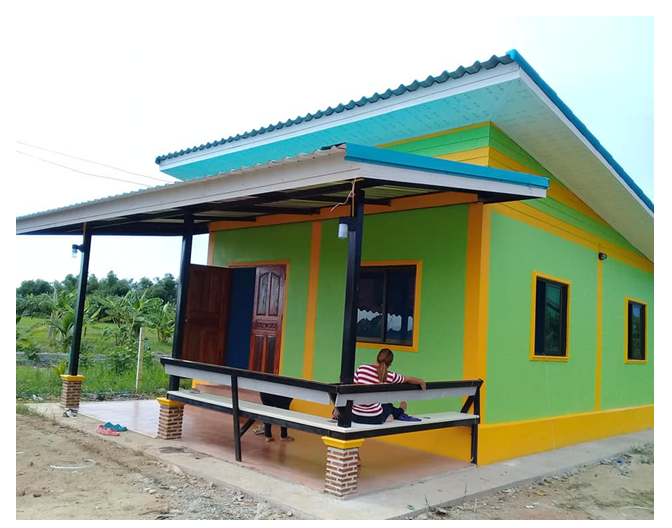 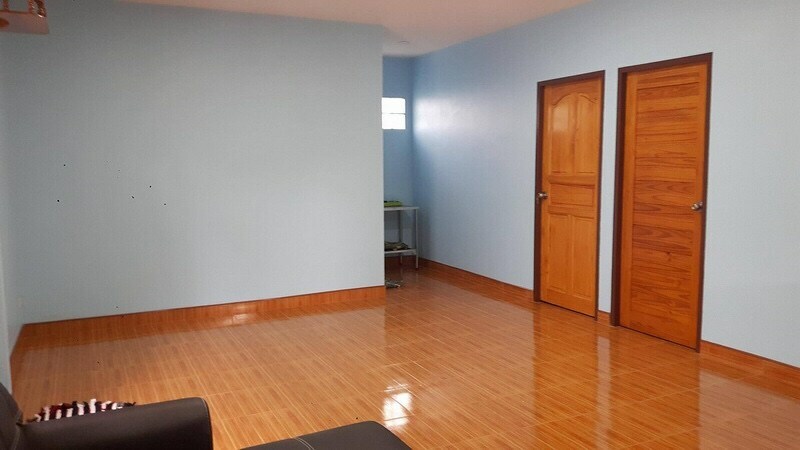 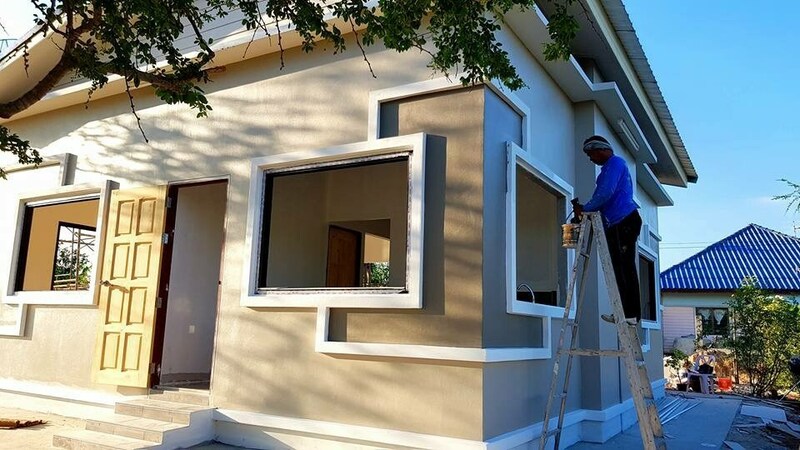 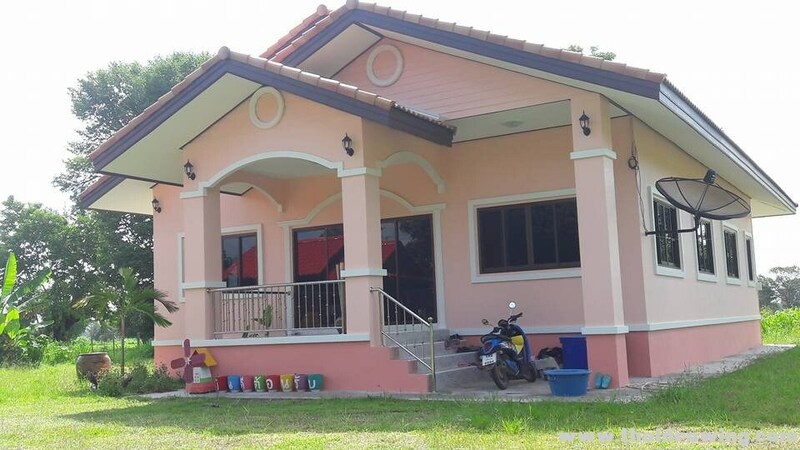 This house has 2 bedrooms, 1 bathroom, 1 living room, 1 living room, 1 Thai kitchen and a budget of 21,176 US Dollars depending on the materials used.